(Nanowerk News) After two years of research, a French team, mostly including researchers from the CNRS and CEA within the RS2E network on electrochemical energy storage (Réseau sur le stockage électrochimique de l'énergie) have just designed an alternative technology to Li-ion for application in specific sectors. 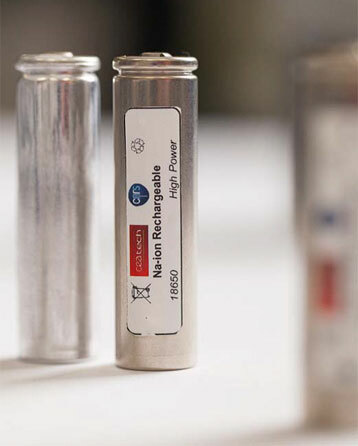 The researchers have developed the first battery using sodium ions in the usual "18650" format, an industry standard. The main advantage of the prototype is that it relies on sodium, an element far more abundant and less costly than lithium. The batteries have displayed performance levels comparable to their lithium counterparts, and this new technology is already attracting industrial interest. It could be used to store renewable energies in the future. The idea for using sodium in batteries dates back to the 1980s. At the time, lithium was preferred to sodium as the material of choice and it has been widely used ever since for portable electronic devices such as tablets, laptops and electric vehicles. However, lithium has a major drawback in that it is fairly rare on our planet. Teams from the RS2E (with the CNRS as the leading partner) therefore turned towards sodium, a thousand times more abundant. They developed sodium-ion battery prototypes where sodium ions move from one electrode to another in a liquid during the charge and discharge cycles. The first step was to find the ideal "recipe" for the positive electrode (cathode) of the battery. Six partner laboratories of the RS2E (see list below) were involved in the project with the goal to find the right composition for this sodium electrode. The development of a future prototype was then entrusted to CEA, a member of the RS2E network. In only six months, CEA was able to develop the first sodium-ion prototype in the "18650" format, that of the batteries found on the market, i.e. a cylinder 1.8cm in diameter and 6.5cm in height. This should facilitate technology transfer to existing production units. Other international laboratories also work on this technology, but none of them has yet announced the development of such a "18650" prototype. This second stage made it possible to move from the laboratory scale (synthesis of several grams of cathode material) to the "pre-industrial" scale (synthesis of 1kg batches). It enabled the production of batteries with unmatched power performance levels. This new technology is already showing promising results. Its energy density (the quantity of electricity that can be stored by Kg of battery) amounts to 90Wh/kg, a figure already comparable with the first lithium-ion batteries. And its lifespan-the maximum number of charge/discharge cycles that a battery can withstand without any significant loss of performance-exceeds 2,000 cycles. But most of all, these cells are capable of charging and delivering their energy very rapidly. The main advantage of the technology is that it does away with lithium, a rare element only found in specific locations, contrary to sodium. 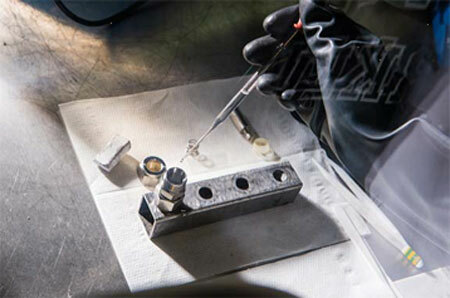 Its other advantage is financial, as using sodium could make it possible to manufacture less expensive batteries. The project has given rise to a number of CNRS and CEA academic publications and patents. It received financial support from the French Ministry of Higher Education and Research, the CNRS, CEA, the French National Research Agency (ANR) and the Ministry of Defence's Armament Directorate (DGA), among others. Bearing in mind the similarities with lithium-ion batteries, industrial players have already expressed interest in the technology, notably those who already work in partnership with the RS2E network. The next stage of the project is to optimize and increase the reliability of processes with a view to future commercialization. Rosa Palacin, a researcher at the ICMAB (Institut des sciences des matériaux de Barcelone) contributed, alonsgside these six laboratoires, to the development of the liquid medium (électrolyte) of the battery. Liten, a CEA Tech institute. Initiated in 2011 by the CNRS and the Ministry of National Education, Higher Education and Research, this network is headed by Jean-Marie Tarascon, a professor at the Collège de France and Patrice Simon, professor at the Université Toulouse III - Paul Sabatier.